A standard M4 is highly recommended for almost all skirmish enviroments and of course the model most commonly used for custom projects. 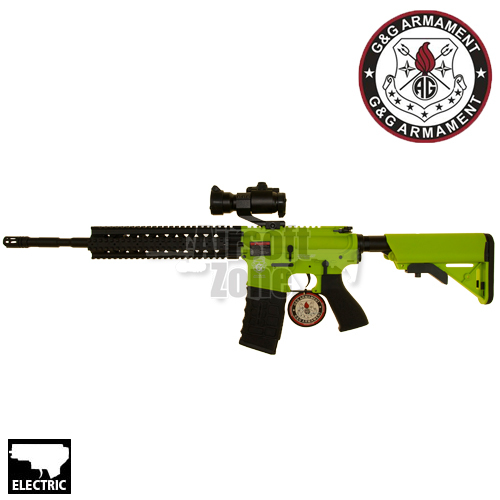 This particular model, being a light weight M4, with full length RIS and a red dot sight would be perfect for those airsoft skirmishers who dont feel the need for a full metal AEG, but still want a reliable airsoft rifle. 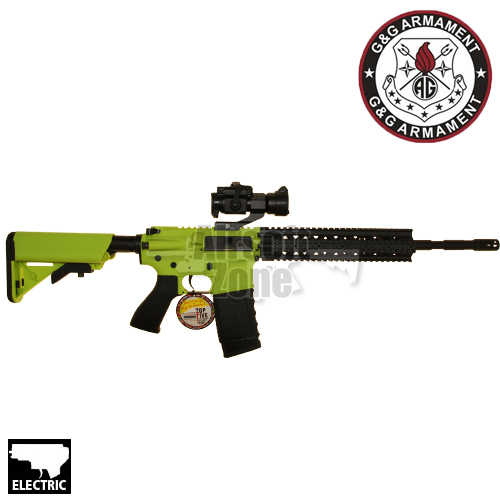 We have had this rifle manufactured in bright green so it is exempt from the VCR act, therefore may be purchased by anybody over the age of 18. *Please note: different brands of .20 BB's and or different chrono's can give diiferent velocity readings.